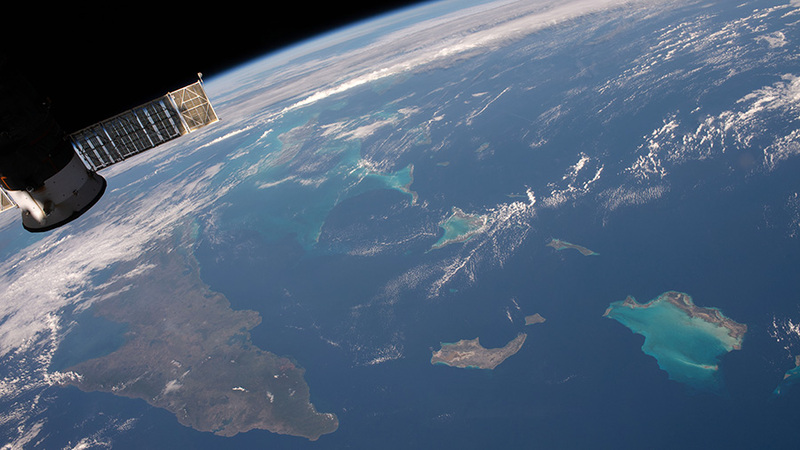 Portions of Cuba, The Bahamas and the Turks and Caicos Islands are viewed from the International Space Station as the orbital complex flew 252 miles above the Atlantic Ocean. At left, is the aft end of the Progress 70 resupply ship from Russia attached to the Pirs docking compartment. The International Space Station is set to deploy a new series of CubeSats as the Expedition 58 crew configures research hardware to enable a variety of space experiments. Id like to get to the whole crew my earnest greeting to so great work. Have a nice work at the space cab.